blishing with open access is not without costs. 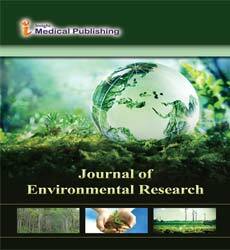 IMedPub Journals defrays those costs from article-processing charges (APCs) payable by authors onces the manuscript has been accepted for publication. iMedPub does not have subscription charges for its research content, believing instead that immediate, world-wide, barrier-free, open access to the full text of research articles is in the best interests of the scientific community. This section should provide enough detail for reproduction of the findings. Protocols for new methods should be included, but well-established protocols may simply be referenced. Detailed methodology or supporting information relevant to the methodology can be published on our Web site. This section should also include a section with descriptions of any statistical methods employed. These should conform to the criteria outlined by the Uniform Requirements, as follows: "Describe statistical methods with enough detail to enable a knowledgeable reader with access to the original data to verify the reported results. When possible, quantify findings and present them with appropriate indicators of measurement error or uncertainty (such as confidence intervals). Avoid relying solely on statistical hypothesis testing, such as the use of P values, which fails to convey important quantitative information. Discuss the eligibility of research participants. Give details about randomization. Describe the methods for and success of any blinding of observations. Report complications of treatment. Give numbers of observations. Report losses to observation (such as dropouts from a clinical trial). References for the design of the study and statistical methods should be to standard works when possible (with pages stated) rather than to papers in which the designs or methods were originally reported. Specify any general-use computer programs used."